Before reading any further, you should know this post may contain a spoiler for Tuesday's upcoming SmackDown Live! show. 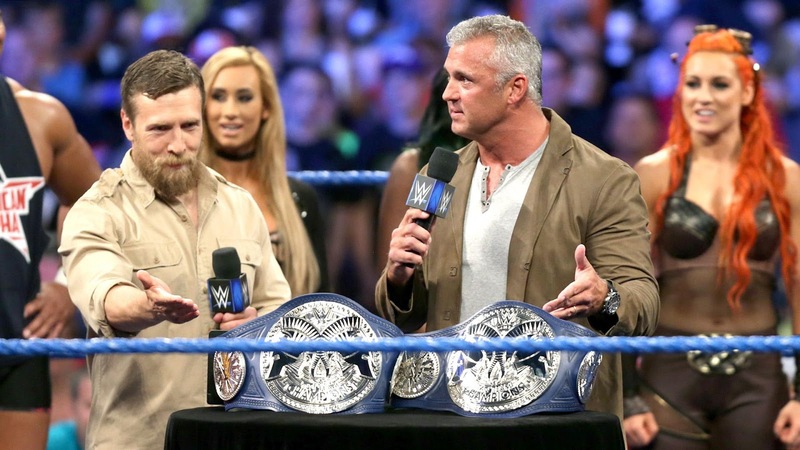 Since the recent brand split with WWE, it's been announced that SmackDown Live will soon have a new Women's Champion and Tag Team Champions. When Daniel Bryan and Shane McMahon made that announcement and Heath Slater interrupted it, there were only six teams announced for the tournament. Bryan told Slater if he could find a partner his team would be entered, which means seven teams. 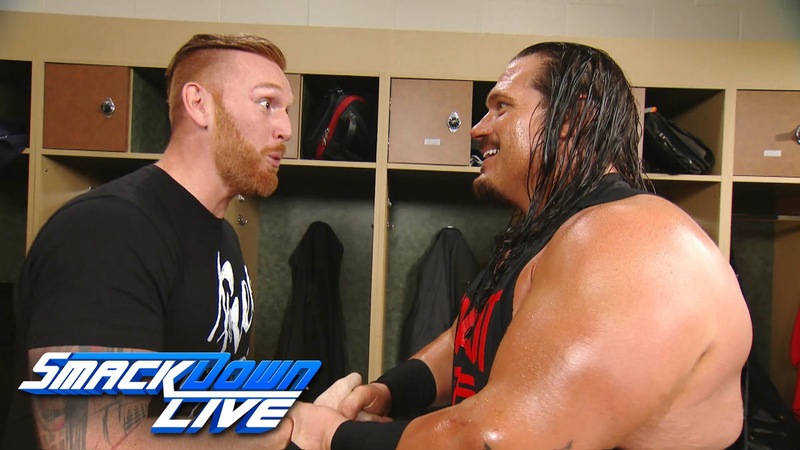 To round things out SmackDown Live needs an eighth tandem. I figured they'd piecemeal another team with a couple of single Superstars like Slater and his partner Rhyno or they'd enter Erik Rowan and Bray Wyatt in as the Wyatt Family. But with Bray focusing on Randy Orton, it makes sense to leave the Wyatts out. Word on the street is that former WWE Tag Team Champions The Headbangers are headed to the blue brand, at least for one night. In a post that has since been deleted, Mosh tweeted he and his partner Thrasher were headed to Dallas for Tuesday's show. I don't know if this is a one off to put over Rhyno and Slater or if the Headbangers are back. Seven teams on a regular basis can make a decent division, assuming the injuries and suspensions don't impact the respective Superstars. Either way, I'm on board with the Headbangers coming back. I thought they were good workers during their time in WWF/E. A return is no different from when Billy Gunn and Road Dogg reunited a couple years ago and the New Age Outlaws won the titles. I don't expect (or want) any returning Superstars to end up with gold, but having them back on TV and in the limelight for a bit is nice. Many fans are probably backing American Alpha (and I'm sure they're destined to win the belts soon), but I think Slater and Rhyno are going to win it all.